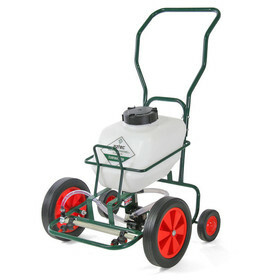 The Greenkeeper Walkover Sprayer is a four wheel, three nozzle sprayer with a 25 litre tank capacity. It has a spray width of 36" and delivers 1.8 litres of liquid per minute at a normal walking pace. The Greenkeeper is suitable for professional applications such as golf greens, tennis courts and other areas requiring professional turf care. Larger equipment may cause damage to turf. Four large pneumatic wheels to avoid turf marking or damage. Full spare back up service from our factory. The Turfmaster Walkover Sprayer is a twin nozzle garden sprayer with a 60cm spray width and a tank capacity of 25 litres. The Turfmaster is suitable for large gardens, cricket pitches, bowling greens and other similar grounds. The Rambler Walkover Sprayer is a twin nozzle sprayer with a 25 litre tank, a 40" spray width and an adjustable spray boom height. The Rambler is suitable for paddocks, allotments and uneven or overgrown areas. Spray Boom has variable height adjustment from 6" to 12"
The Yardmaster Walkover Sprayer is a single nozzle sprayer, suitable for small gardens, pathways and driveways. 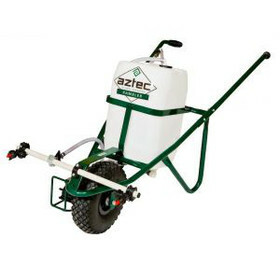 The new specification introduces pneumatic wheels, in place of the old solid wheels, to allow the sprayer to move more easily over shingle and gravel surfaces. The nozzle is now also height adjustable so that hard surface cleaners and winter liquids, such as MMC-Pro and Walkover Ice Melt, can be sprayed from a greater height for improved coverage on drives, patios and tennis courts. Adjustable nozzle height for grass & for hard surface treatments. Four solid wheels for stability. Brass wide angle spray nozzle. Takes approximately 10 minutes to deliver 20 Litres. 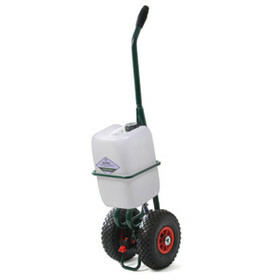 The Gardener Walkover Sprayer is a highly manoeuvrable two wheel pedestrian sprayer. 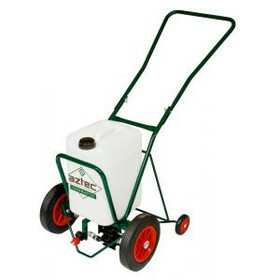 It is a single nozzle sprayer with a 40cm spray width and a tank capacity of 10 litres. 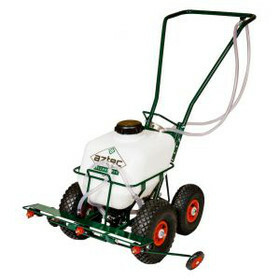 The Gardener Walkover Sprayer is suitable for smaller gardens. ALSO EXCELLENT FOR SPRAYING PATIOS, WOODEN DECKS, SHINGLE OR GRAVEL DRIVEWAYS. All types of stonework. Use Walkover Professional Moss Clear for all hard surfaces. Two pneumatic wheels with integral stand. Pump delivers 1.8 litres per minute at 1 Bar pressure. Choice of spray nozzles available. Suitable for smaller areas & moving around fixed objects. Also suitable for driveways, applying weedkiller or Icemelt.